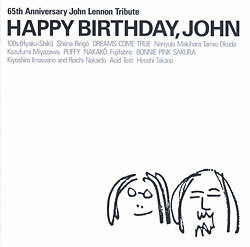 This is a John Lennon tribute album for the 65th anniversary of his birth, collected and produced by Yoko Ono herself. Dreams Come True’s “Beautiful Boy (Darling Boy)” was actually released as the B-side of the 1998 single Ahaha. It was supposed to be on a tribute album at that time, but said album never came to fruition.